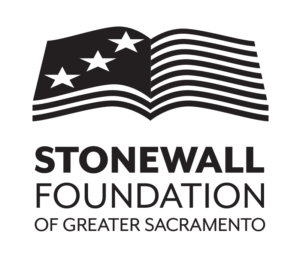 The Stonewall Foundation supports youth advocacy training to promote LGBTQ leadership that will advance justice. We proudly sponsored the Be Brave, Be You LGBTQ+ student leadership conference at the Met High School in May 2018 along with supporting the SJUSD PRIDE PAK conference held in March 2019. The Be Brave, Be You conference highlighted an interactive history gallery, with performance artists and many occasions for personal expression, students were afforded multi-media learning opportunities focusing on social movements. An advocacy panel, organized by the Foundation with the generous assistance of participants Ebony Eva Harper, Rodney Nickens, Deepen Gagneja and Carrie Martin Holmes, shared rich personal narratives to reinforce the continued significance of LGBTQ advocacy and leadership by our community.